The Delhi University Kerala Students’ Association, Maithry, organised an inter college football tournament for students from Kerala on the 27th and 28th of August. The league took place at Hindu College. 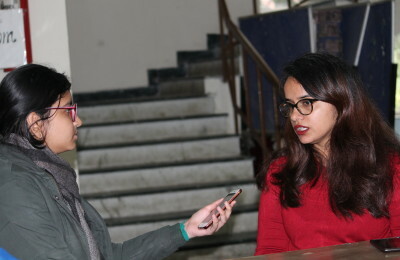 While attracting a lot of students, the event witnessed participation by about eight teams constituting students from different college of the varsity. The uniqueness of the event was that it was a three-a-side tournament with each team having just three players and each match lasting for twenty minutes. The qualifier round on day 1 eliminated half the teams. Finally, Shri Ram College of Commerce, Hindu College, Zakir Hussain College and Faculty of Law made it to the semi-finals. On the second day after the semi-final and final round, Faculty of Law became the winners after defeating Hindu College. The winners were awarded a glittering trophy along with certificates by the President of Maithry, Abdul Aseeb. Everybody could be seen in high spirits simply because of their common love for the game! About the association: Maithry organizes a plethora of events all year round including various festivities. The Onam celebrations are a big hit among the Keralites, attracting a great footfall every year. The association also holds grand celebrations as the fresher’s party as well as the farewell party for graduating students. They even provide need-based scholarships for meritorious students catering to their needs. Activities like these help the students to showcase the mutual interests and enthusiasm shared by them for their culture, practices and hobbies. We hope Maithry continues to host more such events in future that help the students to reconcile every now and then. Previous PostDastaan-e-Bhookh - A Third Space Collective Production Next PostSex Amma: She wants to take it slow!